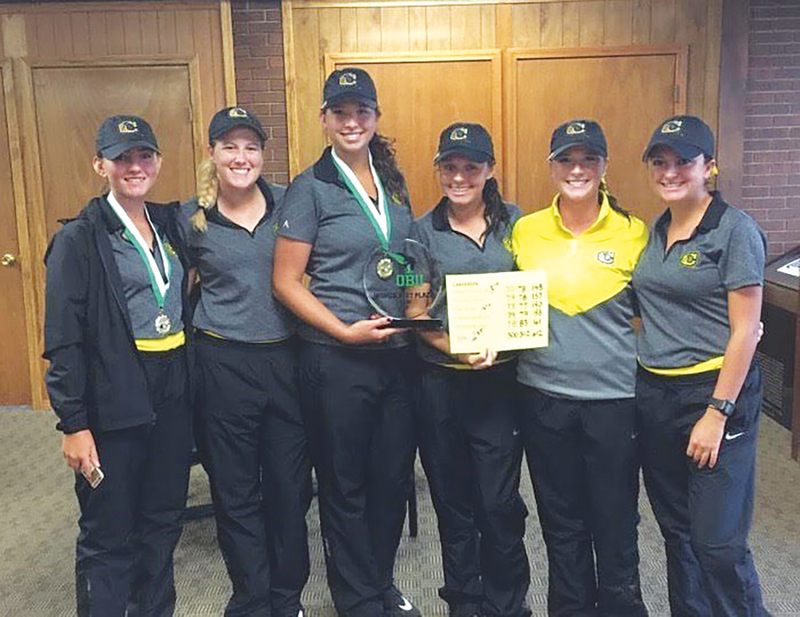 Up to par: (From left): Iona Roska, Kyndall Morgan, Kennedy Wheeler, Hayden Brewer, Allison Duffin and Sabrina Stedman with their trophy after winning the Oklahoma Baptist Fall Invitational on Sept. 26 in Midwest City, Okla. The Aggies carded a 612 in the 36-hole tournament with Wheeler leading CU individually in third place after shooting a 148. Roska finished two strokes behind Wheeler to place fourth with a 150 score.